In my quest to start telling my stories, I have pulled back out ALL of my scrapbooking materials and have made a commitment to spend “at least” 3 hours a week to documenting my journey. Organization is half the battle, and I have many unfinished stories to tell. The following is one of them. I am a HUGE fan of Shutterfly and Snapfish, so when their FREE book offers come along, I try to take advantage of them. I plan to add my journaling into a clear sleeve to the back of this book when it arrives. 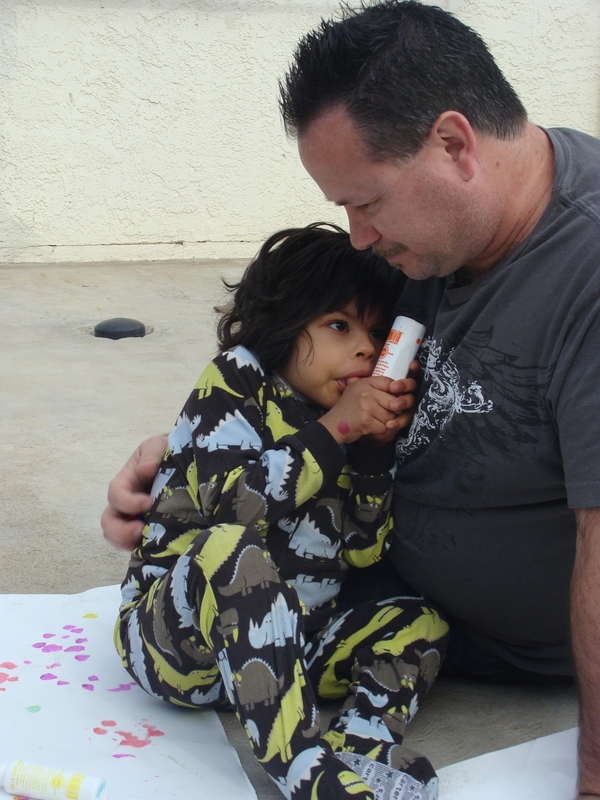 Back in January, Mike and I along with our good friends, Kimberly, Sharon and the Araiza’s took a weekend and went down to serve Catherine’s Kids, a home for disabled children. 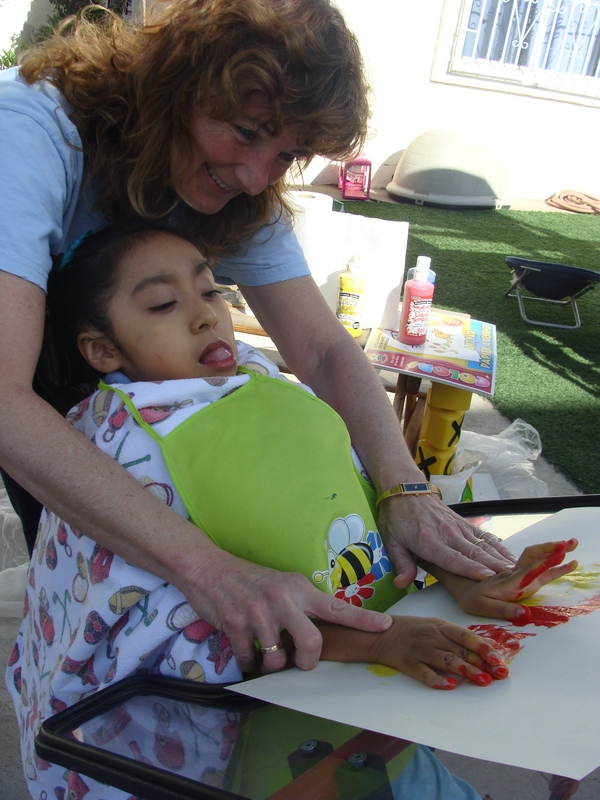 The intention was to bring some therapeutic art for the children to engage in. We took down loads of goodies but nothing compared to the JOY that these children demonstrated to us. Genesis was one of the children we had the blessing to know. She passed away recently, and it hit us hard, especially for my husband, Mike. I fell in love with a beautiful Mexican girl named Genesis this weekend, she doesn’t even know my name, but she knows I love her and I know she loves me. When we first met, she grabbed my face and pulled it millimeters away from hers and profoundly scoured the depths of my soul with her deep penetrating gaze that asked me if she was worthy to be loved. I replied wholeheartedly yes, but without words. She can’t walk,or talk, but she can laugh, boy can she laugh, and her smile, a mile wide- I miss her already. Genesis, you have made a difference in so many lives through your contagious smile. We will see you soon sweet girl. If you want to see the book I created you can click on the link below. I did not know Genesis passed away. My heart is sad. We too had the profound privilege of meeting this precious one. Yes so worthy to be loved. Still crying over her death. Thank you for sharing a little piece of her. What a privilege you had to meet and love her on this side of heaven. I’m sad she is gone. Heavy for your heart Mike.